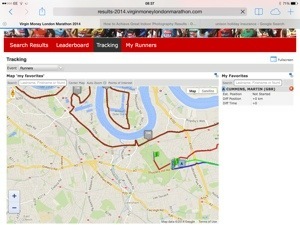 Today is April 13th, Sunday and it’s London Marathon day. The skies are blue and the sun is shining. Martin Cummins is running on behalf of Tourettes and we are proud to have him as a Team Evo member. 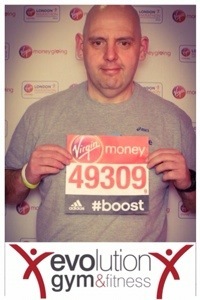 To date Martin has completed a couple of half marathons and has been training really well for this one. Hats off to you Martin. With all the modern technology of today we will be tracking him around the course, we will be excited to see him at iconic landmarks on the course. More to come but positive vibes go out to him and all the other runners. This entry was posted in Running, Team Evo and tagged london Marathon, martin cummins, sheffield runner on April 13, 2014 by billybicep.